First of all wash and drain the lamb’s lettuce and the cherry tomatoes. Cut in two the cherry tomatoes. Place the lamb’s lettuce in the base of the plate. 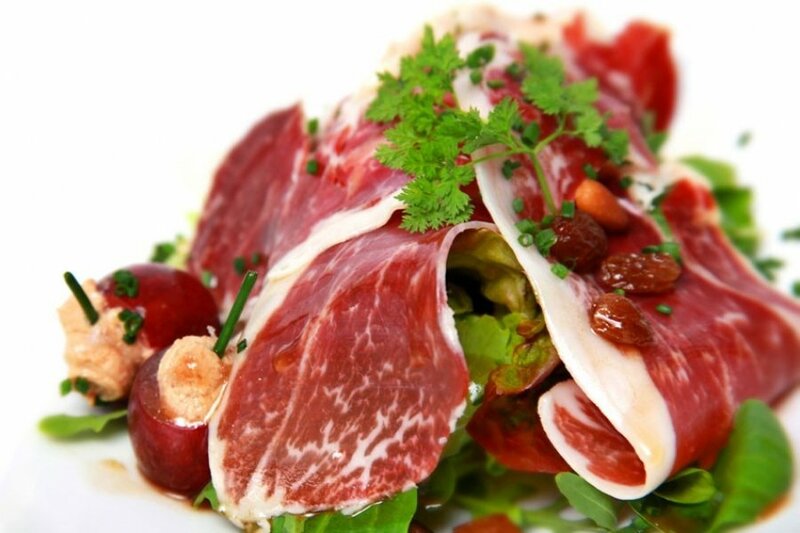 Then put the cherry tomatoes on top of the lettuce and the slices of the acorn-fed Ibérico Ham. Add some raisins and the salad dressing, and you are ready to enjoy! Don’t forget to visit us to enjoy the finest iberian ham in the world!